You are here: Home / Nature News / Nature News / Where are the monarchs? This summer has been a very quiet year for monarch observations in Minnesota and Wisconsin. 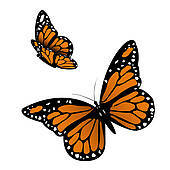 The reasons for this drop in Monarch numbers are two-fold. Last winter the number of Monarchs over-wintering in Mexico was 80 percent below average due to the high heat and drought last summer. The late and cold spring this year also delayed the Monarch’s northward movements, meaning that fewer Monarchs will complete the season’s fourth breeding cycle. What does that mean for the future of Monarchs? These amazing insects have high breeding potential and a widespread range so their population may recover. However, multiple years with low breeding success could signal a big problem for these amazing migrants. To read more about Monarch migration and population studies please visit Journey North . https://carpenternaturecenter.org/wp-content/uploads/2016/10/btfl.jpg 170 170 Carpenter Nature Center https://carpenternaturecenter.org/wp-content/uploads/2016/08/carpenter-nature-center-logo.png Carpenter Nature Center2016-10-09 18:36:122016-10-09 18:36:12Where are the monarchs?